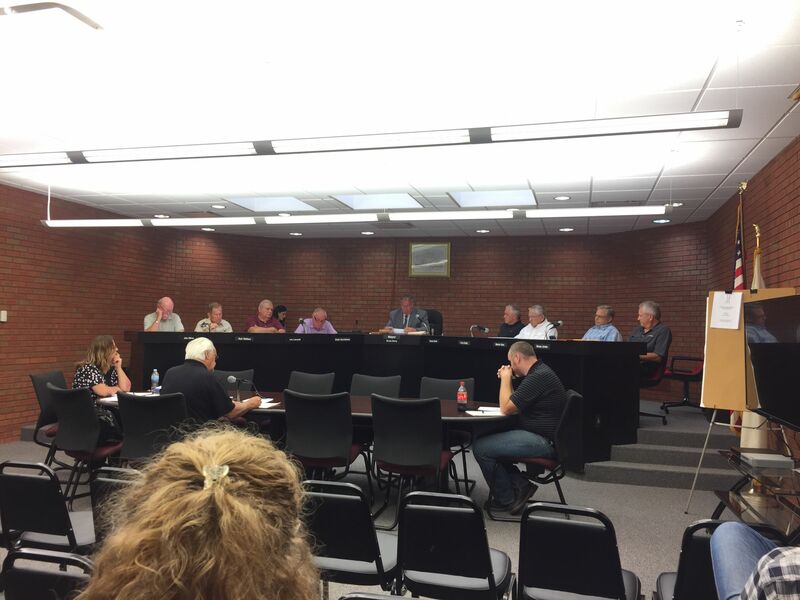 The Taylorville City Council held their first City Council Meeting of the month at the Taylorville Municipal Building on Tuesday Night. Before the meeting, they held a public forum discussing the request of Taylorville Memorial Hospital for a Special Use to build an 80-foot-tall communications tower at the hospital. However, the forum had to be tabled. Mayor Bruce Barry explains. After the public forum, the City Council began Tuesday night’s meeting. To start off, both Jeff Stoner and Kyle Rentfrow of the Taylorville Fire Department were sworn in as TFD Fire Arson Investigators. After that, a motion to approve the Plan and Zone Commission Recommendation for the HSHS Building were approved by a motion of 6-0. Then a motion was tabled regarding the Plan and Zone Commission Recommendations for TMH. Also, an Ordinance Authorizing the Sale of Personal Property Owned by the City of Taylorville carried by a vote of 9-0. Following that two motions carried, one of them being a Resolution Approving Execution of a Global Release and Settlement Agreement. The other was a Resolution Approving Execution of General Release with Chicago Title Insurance Company. A motion to grant a special events permit to St. Mary’s Fall Fiesta to begin at 4pm and go until 9pm was approved. Finally, the Street and Sewer committee held a motion to recommend the council to approve the special events permit for Kiwanis Club Peanut drive September 28th through the 29th at the corner of West Main Cross and Webster. That motion was carried unanimously. The Taylorville City Council meets on the first and 3rd Monday of every month at the Taylorville Municipal Building.